If you look at the top of the page, you’ll see a new “recipes” tab. I’ve been making things from the over-abundance of produce, and I thought I’d share with you what I’ve been doing! I’ve posted the following two recipes there today, and will continue to do so as the season continues! I hope you enjoy! 1. 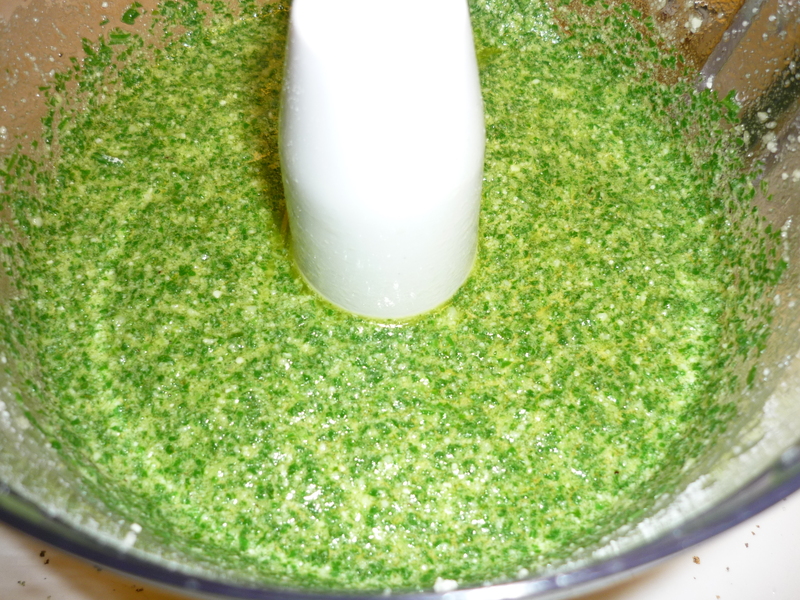 For this recipe, I blanched the arugula for about 15 secs, and then dipped in ice water. Next time, I think I won’t blanch it, because it lost most of it’s spiciness. But if you blanch, squeeze out all the excess water. 2. 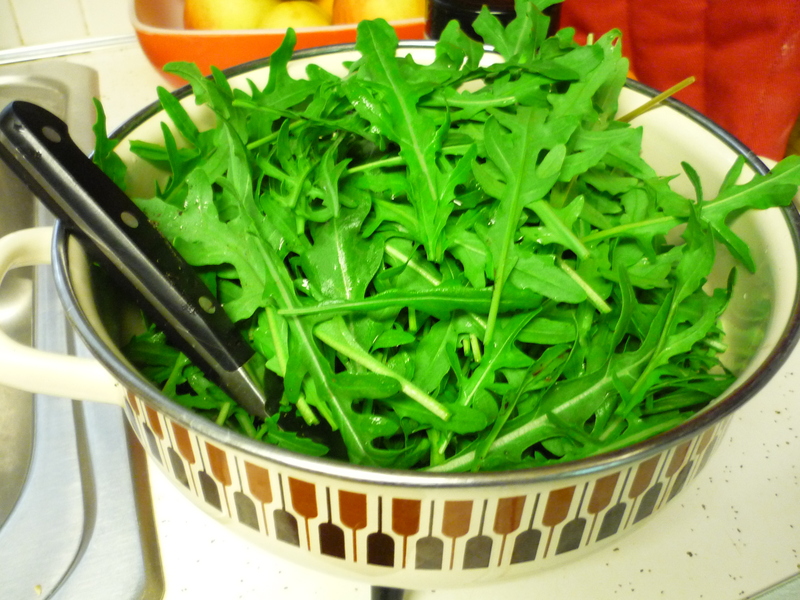 Roughly chop the arugula and put in a blender. 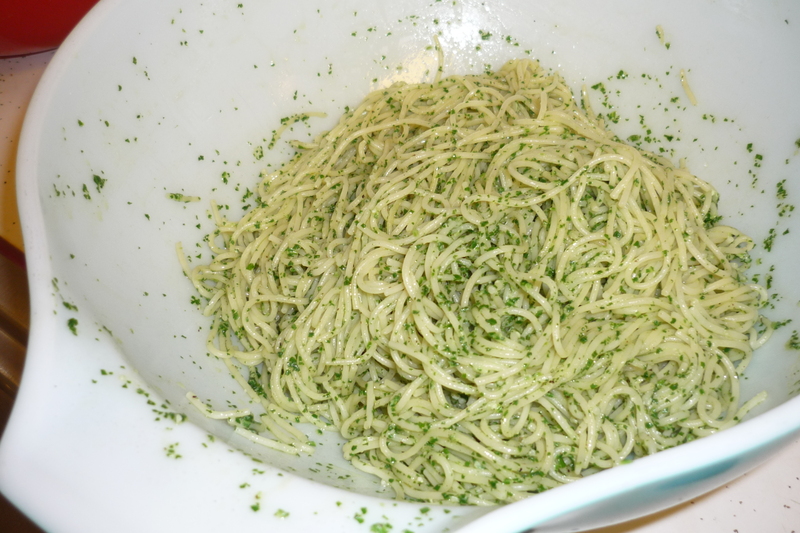 Add the garlic, salt and pepper to taste, olive oil, 2 tablespoons of the pine nuts. Blend for at least 30 seconds. 3. Add the cheese and pulse to combine. I had an extra cup, so I put it into a freeze bag, with the air removed. We plan to make a pizza with it soon! 1. Roughly chop snow peas and steam for about 5 minutes. They’ll still be crunchy, but they’ll be a beautiful green color. 2. Heat oil in wok and add onions until lightly browned. 3 . Add eggs and cook until firm. 4. Add rice. 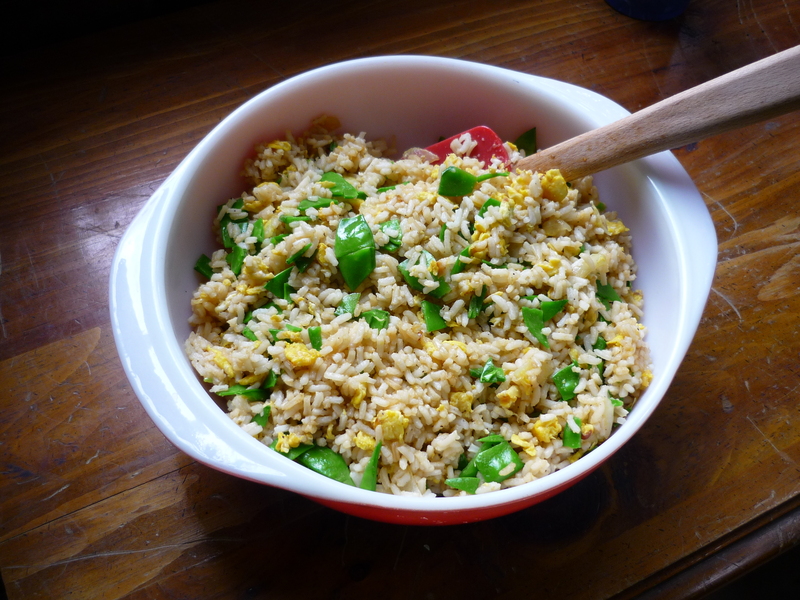 Keep stirring until eggs and rice are well mixed. 5. Add soy sauce, pepper and snow peas. Stir until rice is light brown. You could add minced garlic, carrots, tofu, chicken…whatever! And it’s a great side dish!